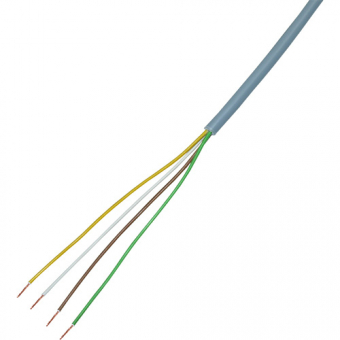 PVC/ Silicon connection cables are mostly used for data transfer, control and connection cable, for transfer of analogue/ digital signals in process-controlled plants. The are mainly resistant against acids, lyes and some oils. PVC control cables are especially suited for average mechanical stress, fixed installation or flexible application. They can be used in dry, moist and wet rooms. In measuring and control technology and in medicine electronics, mainly control leads with copper braid are used. The high-quality silicon or PVC connection cables are permanently temperature-resistant up to 180 °C (silicon) and 105 °C (PVC).